On this panel, you can Connect with your username and password to access your repositories and open your projects. Choose Load the Map to open. You may also view the project description. Additionally, the user can intuitively scroll, drag, zoom the map with typical mouse and touchscreen interactions. 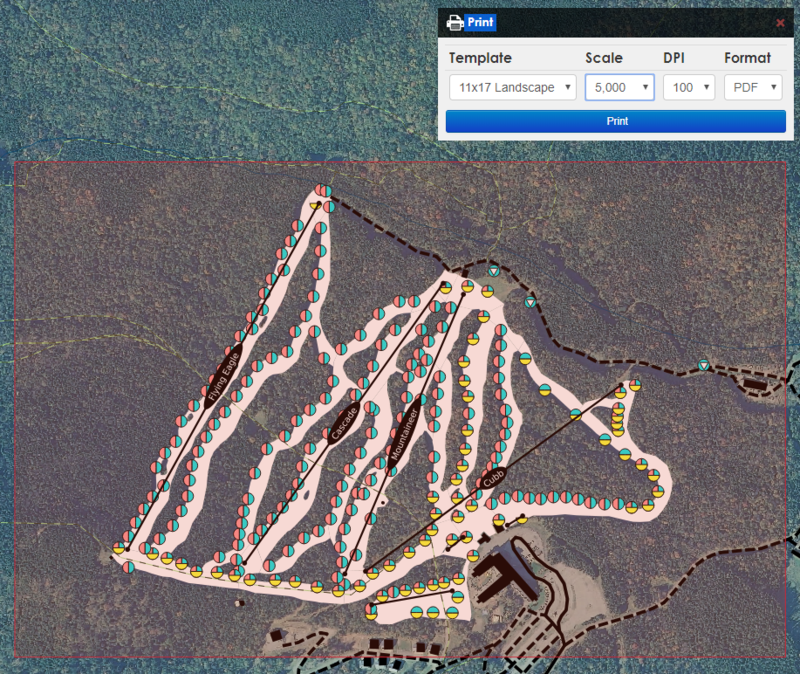 The Layers panel includes display selection for all Legend Layers and Base Layers. Legend Layers can be chosen per the map requirements, with a suitable Base Layer chosen for the background. Selection boxes in the Legend can be toggled to display the layers. Groups can be expanded to show layers, and layers to show symbolism, using the triangle toggles for each. 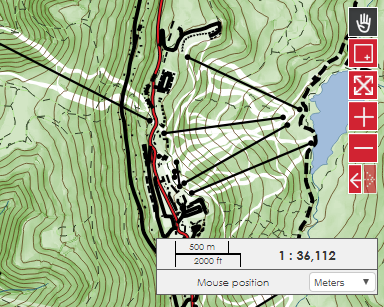 The Layers panel can also be closed to provide a larger map display. 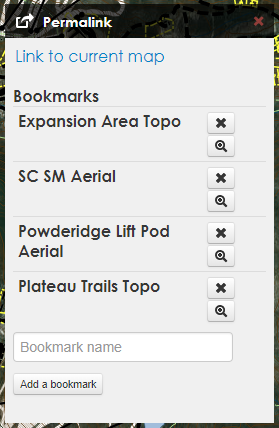 This feature is displayed by default when the map loads, and available from the toolbar. It provides quick pan / zoom to locating of a feature chosen from the available layers. 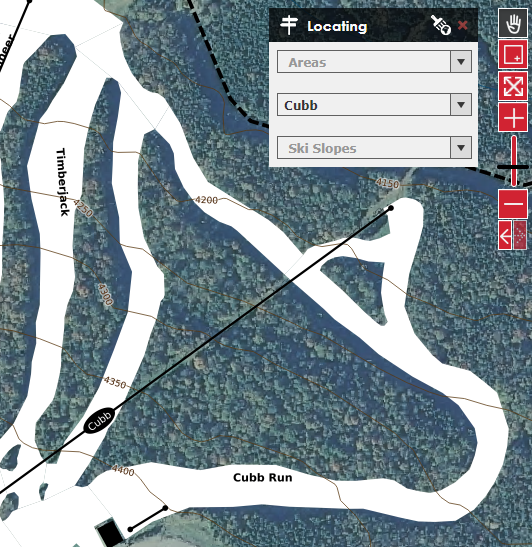 Measurement tools can be accessed from the toolbar and are available for distances, area, and perimeter. Begin by choosing the type of measurement. Single clicking starts and places the legs of a measurement and double-clicking completes it. Repeat to take a different measurement. Close the Measures toolbox to hide the tool. 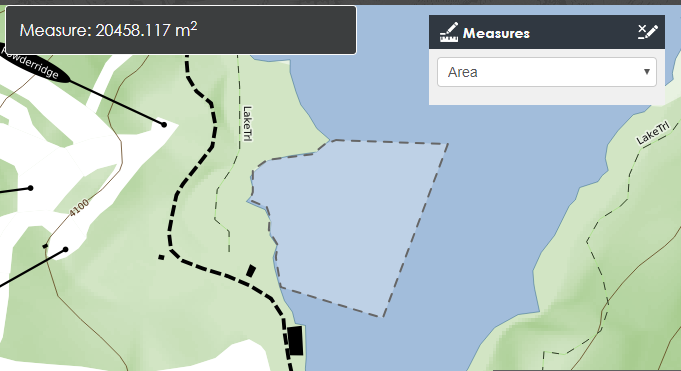 Print your map by selecting template and scale, then adjusting the print extent box on the map. A variety to print layouts are available per project. 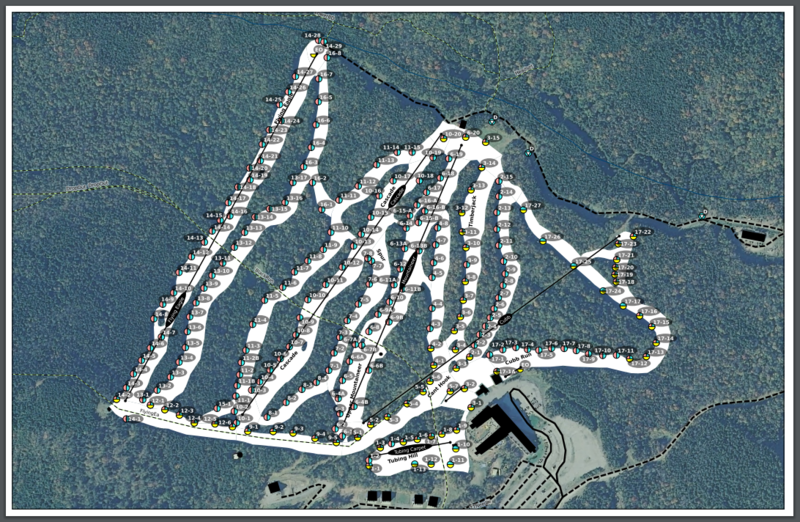 Use the Print button to generate a pdf of the map and save the file to your local machine. Most labeling is scale based. Layers with many closely located features may only have visible layers at scales on 1:5000 or larger. The print extent and scale will effect label visibility. 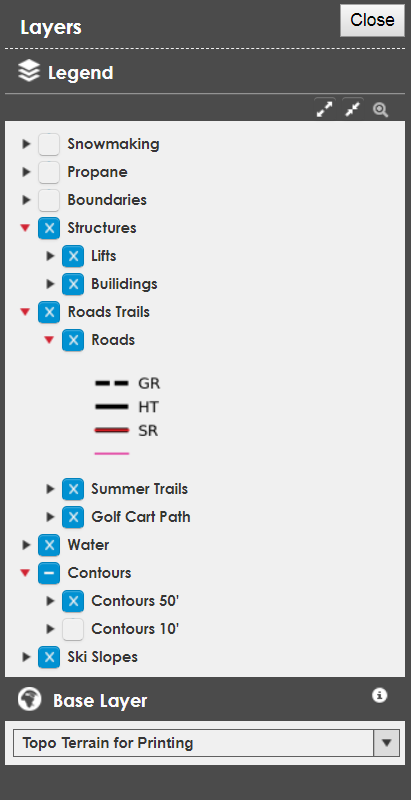 Layers with tables available are shown in the panel when this tool is selected. Opened tables are displayed in tabs for selection, sorting, filtering, and export. The default tables panel occupies the bottom half of the screen, and is set to auto-minimize so the map extent remains available. It will restore to half-screen on hover. The Pin button keeps the panel expanded to the selected size. The Maximize adjusts the table to the full window height. Use the Close button stow the panel away. Each table row represents a map feature. 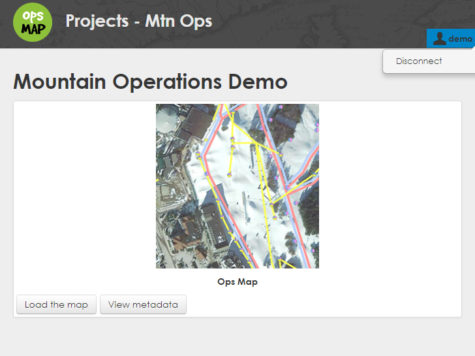 Select button chooses a single or multiple features and highlights the corresponding feature on the map. Zoom allows the user to quickly change the extent to the chosen feature. Pan centers the map extent on the feature while maintaining the current zoom. Move the selected lines at the top of the table with the arrow up button, to easily view the highlighted features and quick copy-pasting to another spreadsheet or document. The white star button clears the current selection. The Search field can be used to filter the table by attributes and applies to all fields within the table. Filtered data can be displayed with the black star button, search selected lines. 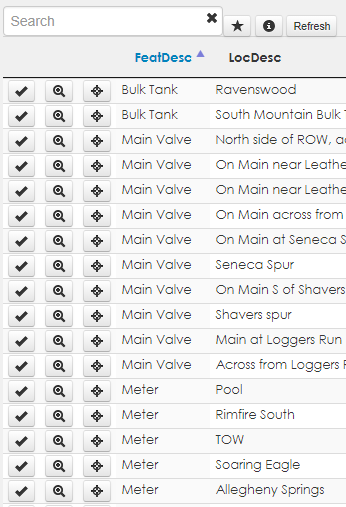 This will highlight the table selection on the map and printed exports. 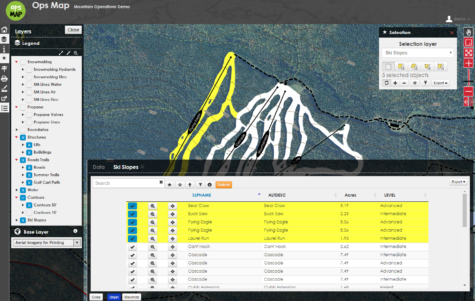 Permalinks save the map extent and layer display for later use and sharing. Add a bookmark for quick access to your work.